"POWER" side for a reason! An explosive outside hitter causes many problems for the best defenses. 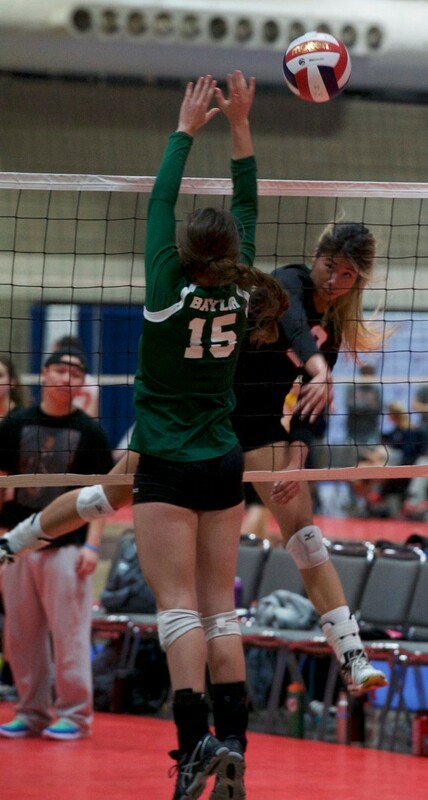 From their natural hitting spot, they have the entire volleyball court to work with and are sometimes matched up against a setter whocan be relatively undersized for the block. More often than not, an outside hitter will be right-handed, which means the volleyball will not cross the body before swinging. This allows for the most natural hitting motion no matter where the set comes from, which in turn allows for ease of power. Jack of All (around) Trades! With the limited number of substitutions in volleyball and higher difficulty of finding a setter that can effectively play both front and back row, having an outside hitter that can play all-around the rotation is key. This would mean the player needs to be adept at both offense, defense, and serve receive (definitely a different animal than defense). It is very easy for a player to fall in love with the area they are best at (often times attacking since it is a glory skill), but making sure to push the outside to focus on a complete game will help them and the team immensely. Typically outsides are the position that work with the Libero/DS to serve receive. Stated earlier, serve receive is a different beast than defense, and often the skill that separates the good from the great. A serve is the opponents chance to get an uninterrupted swing at your team. Add in the chance of a floater that really moves well, and you have an unpredictable missile coming right at you. Although its an interrupted ball thrown at your team, serve receive also means your team gets the first shot at a real attack, it all depends if the serve receive finds the target. Get you an outside that can serve receive and it will make a huge difference. Thinking about all the areas above, especially the idea of being all-around and on the court the entire game, outside hitters can act as the emotional pulse of your team. Always involved and integral to every facet of the game, if you can find an outside with a never stop working attitude, that will elevate the rest of your players on the court. Enjoy this read? Check out our thoughts on the setter position!